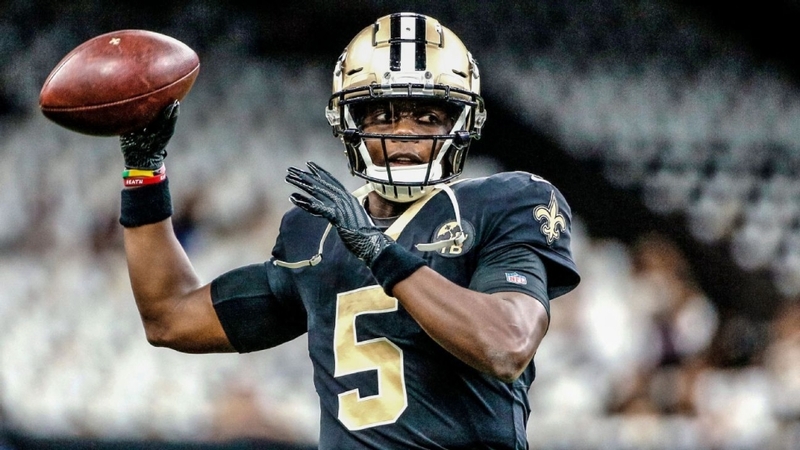 New Orleans Saints backup quarterback Teddy Bridgewater got the chance to start on Sunday with New Orleans having already wrapped up home field advantage in the upcoming NFL playoffs. The Saints lost 33-14 to the Carolina Panthers on the last game on the regular season, but it was a major win for Bridgewater who threw his first pass since January 13, 2016 when his knee exploded and led to a three-year battle back to this point. The 2015 Pro Bowl selection, who many experts said would never play again, signed with the Jets at the beginning of the 2018 season as a backup to rookie Sam Darnold. Once Darnold assumed a firm grasp on the starting job, Bridgewater signed with the Saints. It wasn't because he bombed with the Jets, but because the franchise traded up to grab Darnold with the No. 3 pick in the draft and were committed to him, win or lose. On Sunday, Teddy B finally got a chance to touch the field in a regular season game, which is a huge deal. His first pass was a 16-yard completion to Mark Ingram and he finished 14-of-22 for 118 yards a TD and a pick. Later in the game he threw his first TD pass since December of 2015. Great to see Bridgewater back on the field and he should be in someone's camp next season competing for a starting job. What a comeback story.